My boyfriend’s Mum’s Birthday cards from 1969. My boyfriend’s Mum is called Lin and she makes really ace stuff from vintage paper ephemera like this Bunty fridge magnet set and Noddy key rack which she sells in her local gift shop. 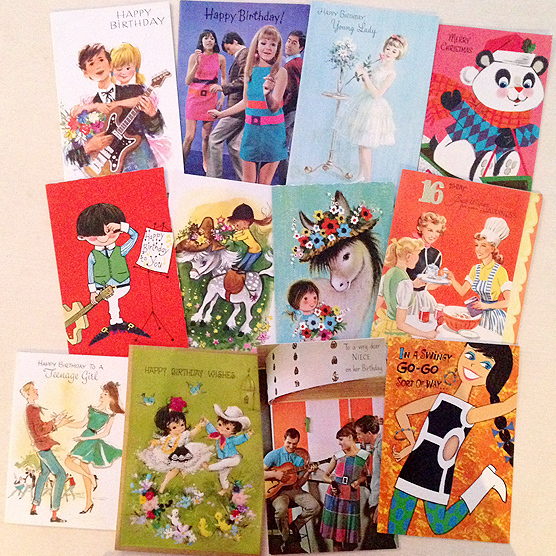 She has also held onto a lot of really amazing keepsakes like all the birthday cards she received on her sweet Sixteenth in 1969 – pictured above. The panda card top right is the first Christmas card Chris (my boyfriend’s Dad and her husband) gave her in 1968. Dreamy! Inside the card from my Boyfriend’s Mum’s Mum & Dad. 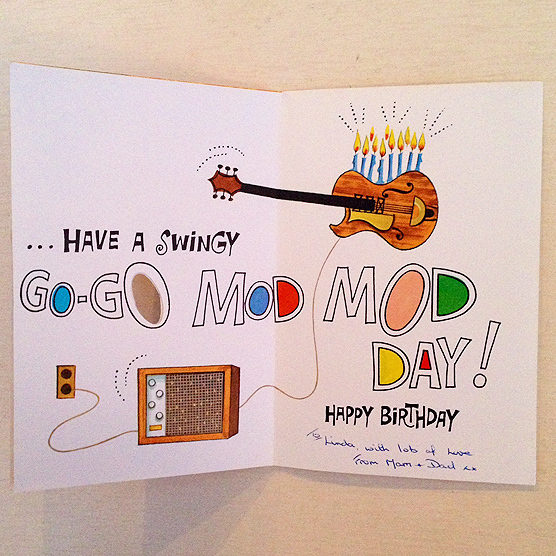 Here’s a little peek inside the birthday card her Mum and Dad gave her – isn’t it super! I can’t get over how contemporary all the designs look. I’ve created a new board on Pinterest inspired by them so if you’d like to take a closer look at the designs click here. I have also decided to make the effort to source more vintage and deadstock greetings cards for the shop so I’ll let you know how that goes!